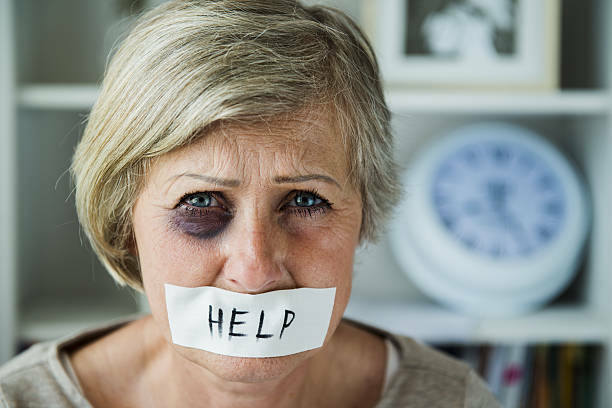 Elder abuse can be of many types and can include threats to the elderly, neglecting them, fraud and tricking them financially. Physical elderly abuse involves hitting, use of drugs, as well as confinement which may result in injury, pain and impairment. Another kind of elder abuse is emotional or psychological abuse which means treating elders in a cruel way. This means yelling at them, humiliating them, and not attending to their needs. It can also mean being completely evil, ignoring them, blaming them, or terrorizing them. The above-mentioned situations are the different types of elder abuse and/or estate fraud which are quite common in Canada and every other country. Hiring a private investigator might help determine the severity of this situation and ultimately to solve the issue altogether. Running a background investigation is extremely important to put a stop to elder abuse and estate fraud. There are many private investigators in Canada who will start with background checks to deal with the situation. Private investigators carry out well conducted research to discover any civil and/or criminal records of the accused/suspected party. Apart from this, these background investigations carry out thorough research in all the locations where the individual has resided. Moreover, private investigators also conduct field investigations. An interview may be conducted with their previous employers as well as any elderly individual whom they have taken care of. Even the family of the elderly is contacted to obtain further information. Experienced private investigators in Canada also perform welfare checks. They attend the site in an attempt (sometimes with the help of electronic equipment) to catch the accused red handed. The main purpose is to obtain proof that the individual broke the law and report them to the authorities. Private investigators endeavor to help make sure that elderly people are cared for properly. If there is any problem or more information is required, the investigators will reach out and work in conjunction with the family members of the elderly. Another important way of investigating the elderly through private investigations is through financial enquiries and hidden cameras. Private investigators are also responsible for uncovering many types of financial crimes that may be attempted by individuals responsible for taking care of the elderly. In addition to all this, private investigators install hidden cameras in the houses of elderly where the individuals are supposed to care for them. This is an excellent way to monitor the actions of the individuals as well as obtain and secure proof. Elder abuse and estate frauds are getting more common day by day and this is a serious problem for the elderly. However, private investigators will help solve this issue to the best of their abilities. Entrusting this responsibility to private investigators is the best decision one would make. There are many private investigators throughout Canada and you can simply hire them and receive their help through a single phone call. They will be at your service, perform all that is required, conduct thorough research and reach the conclusion of the matter in a timely manner. It obviously more humane to take action now and have the problem solved as soon as possible rather than to let the elderly suffer even a day longer.